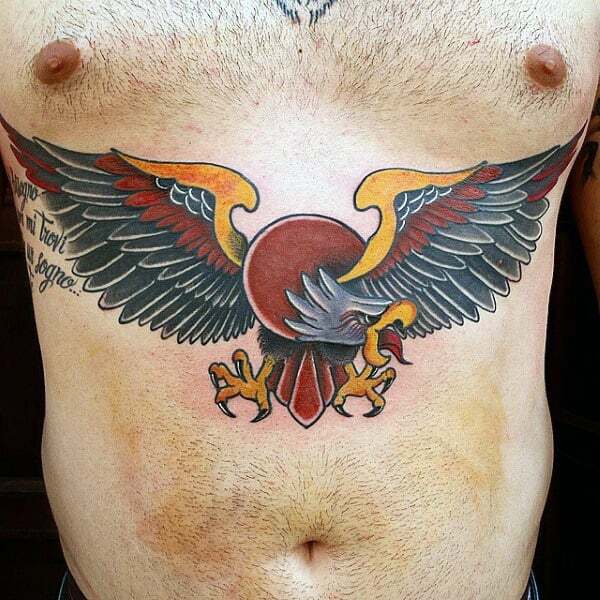 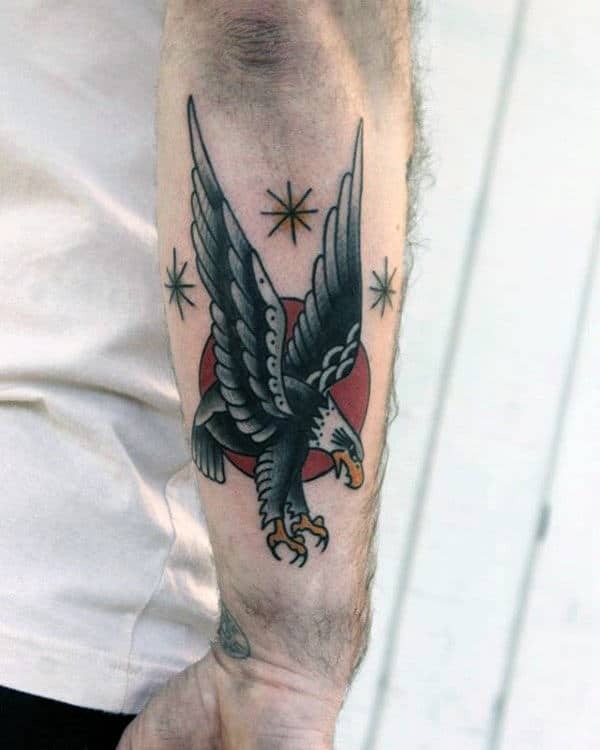 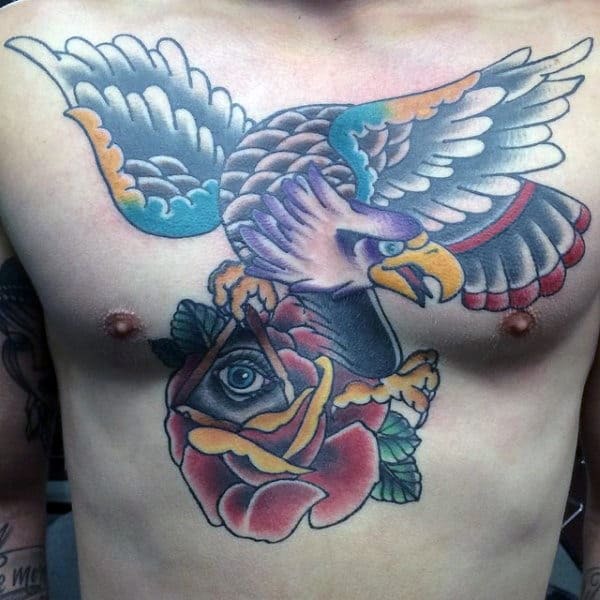 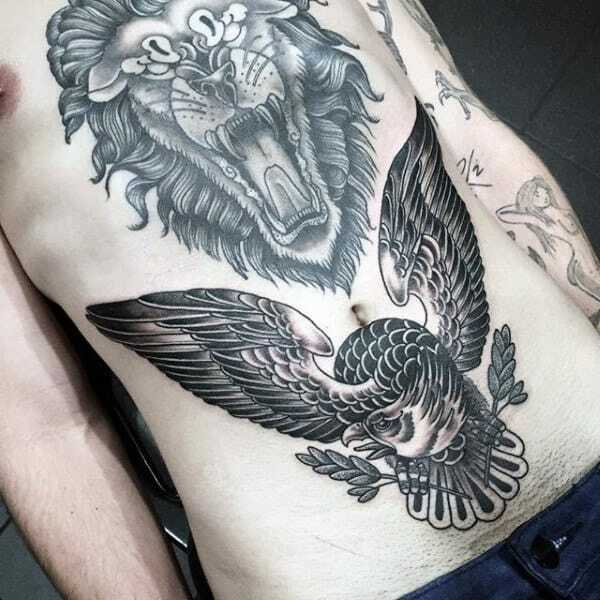 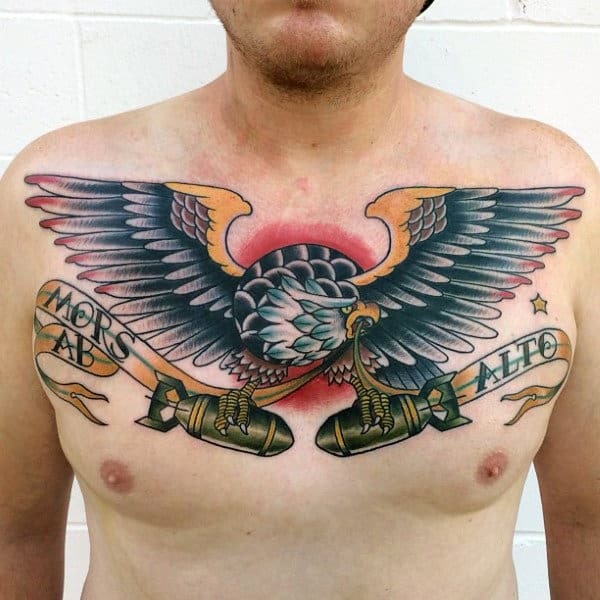 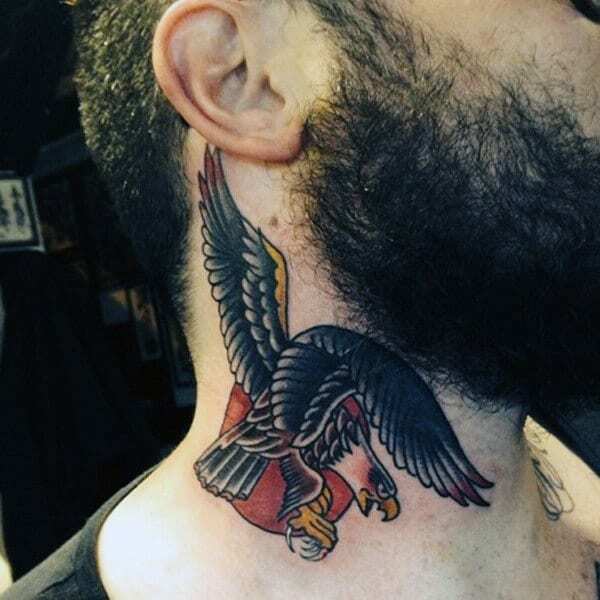 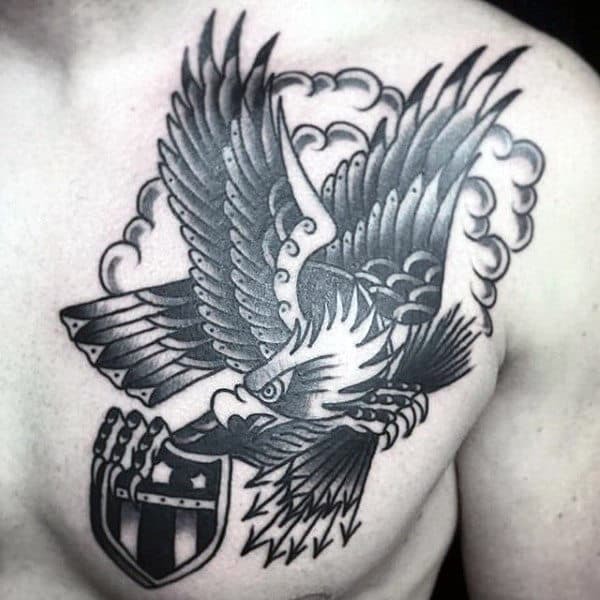 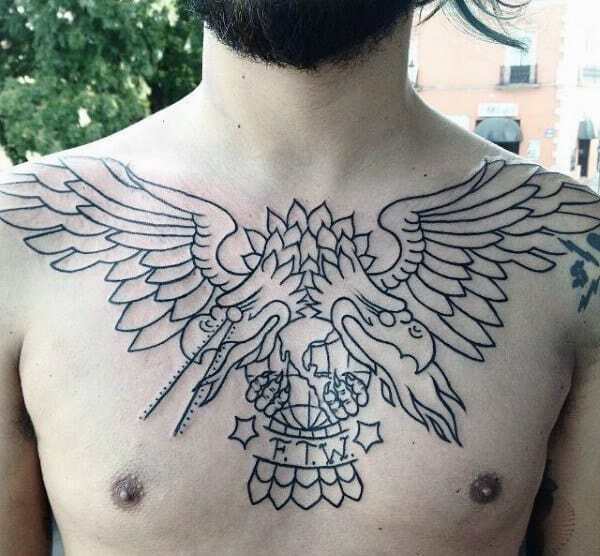 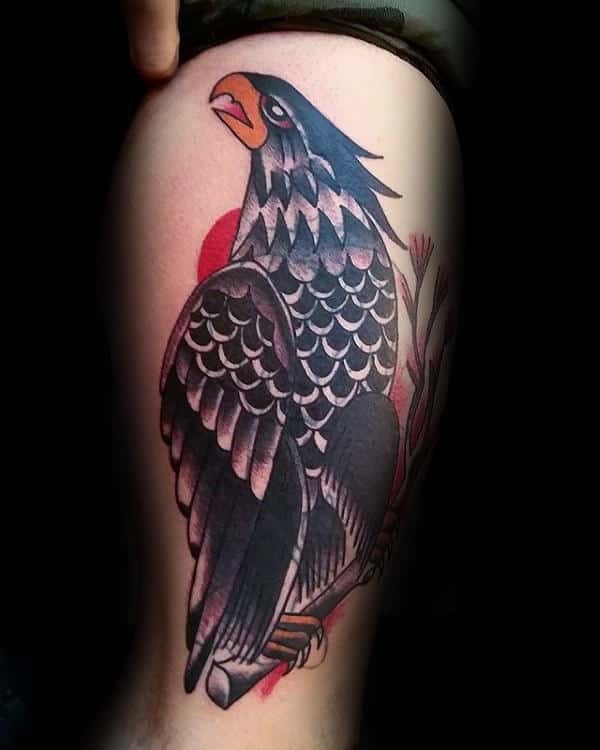 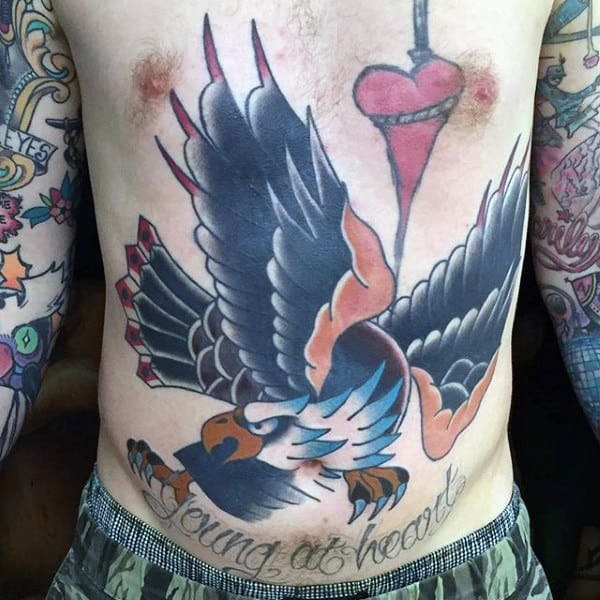 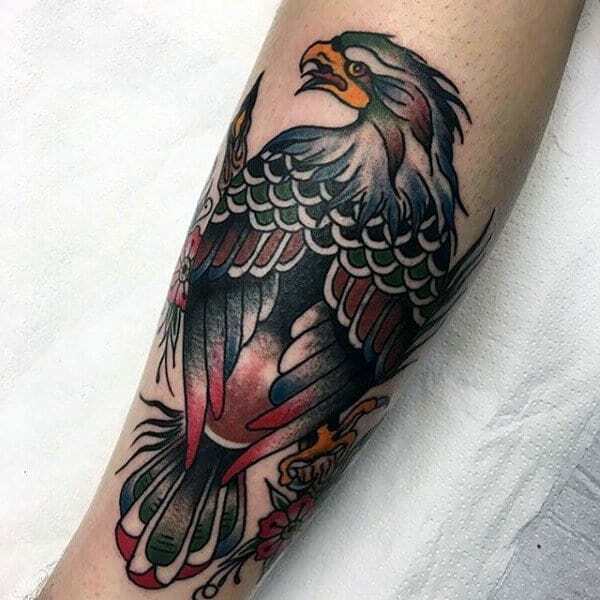 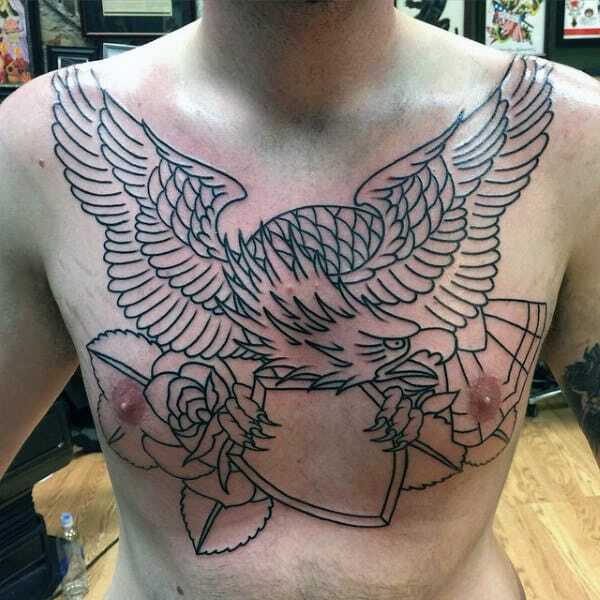 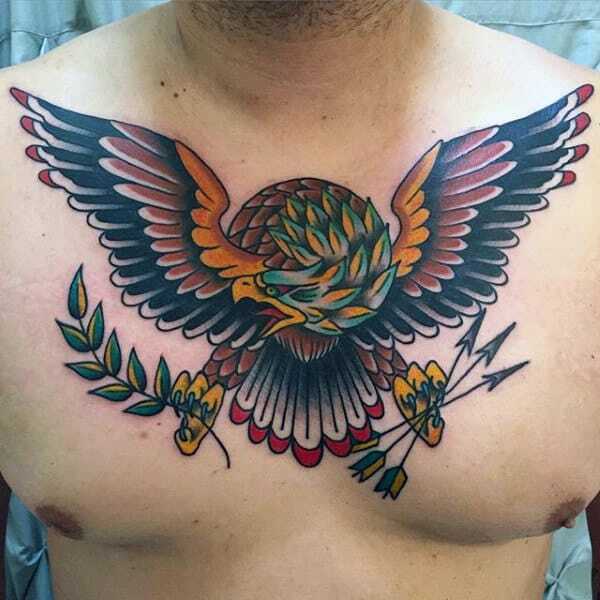 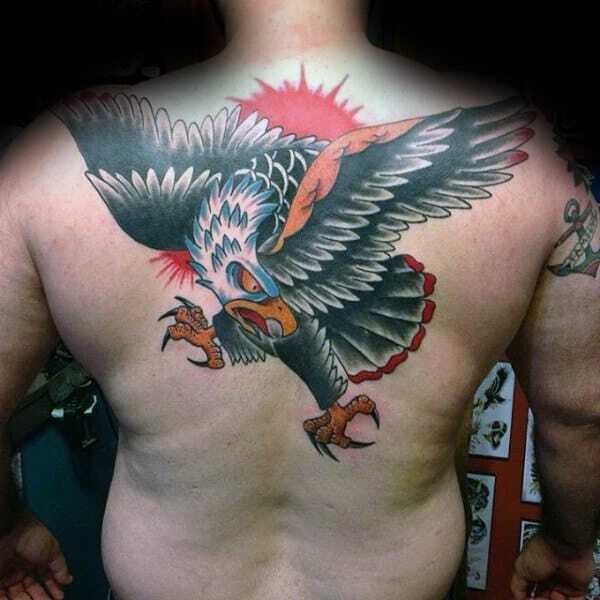 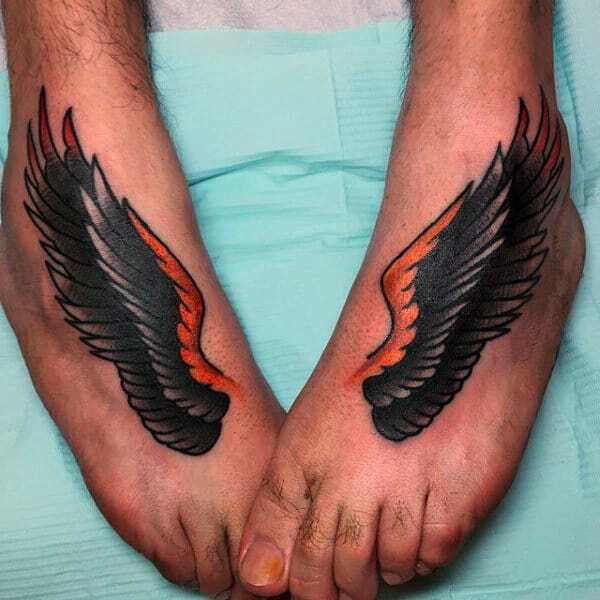 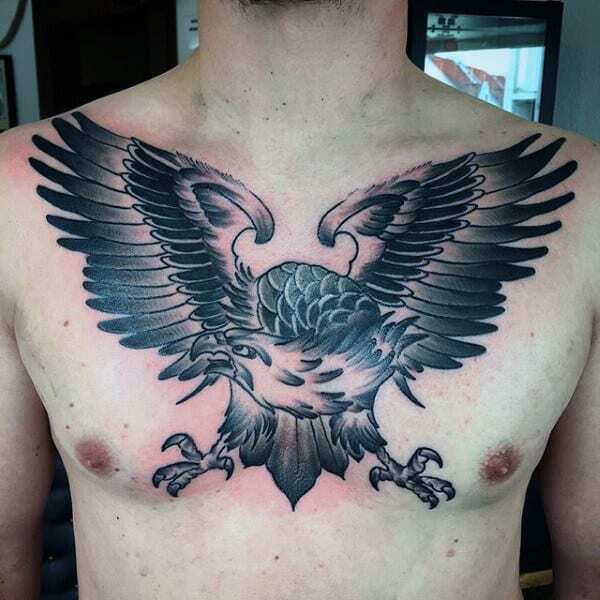 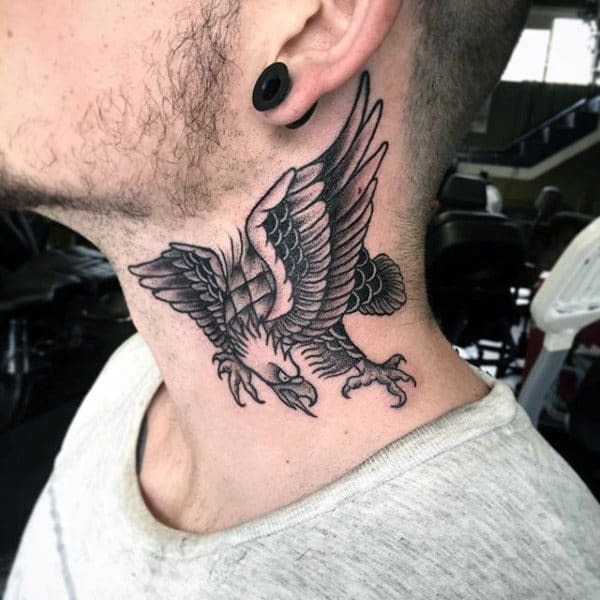 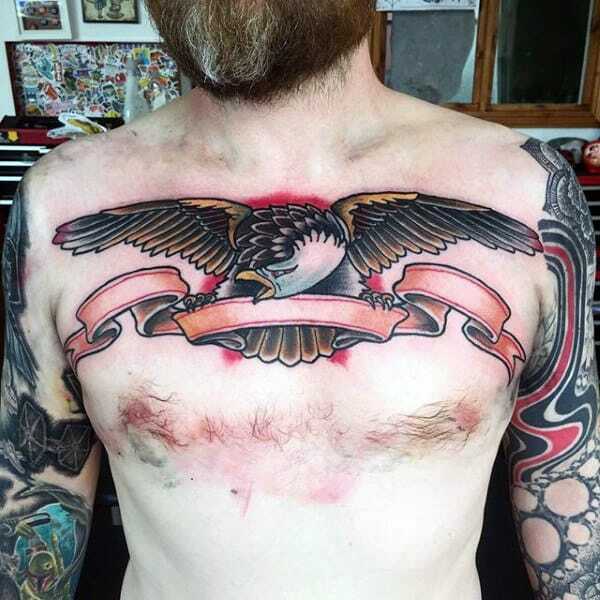 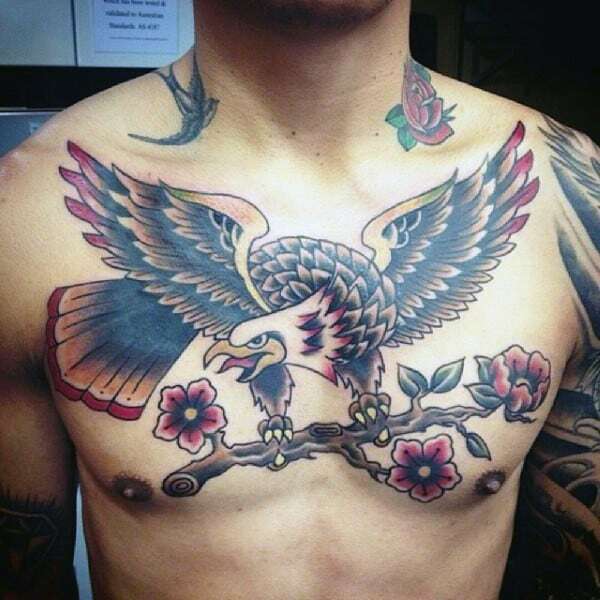 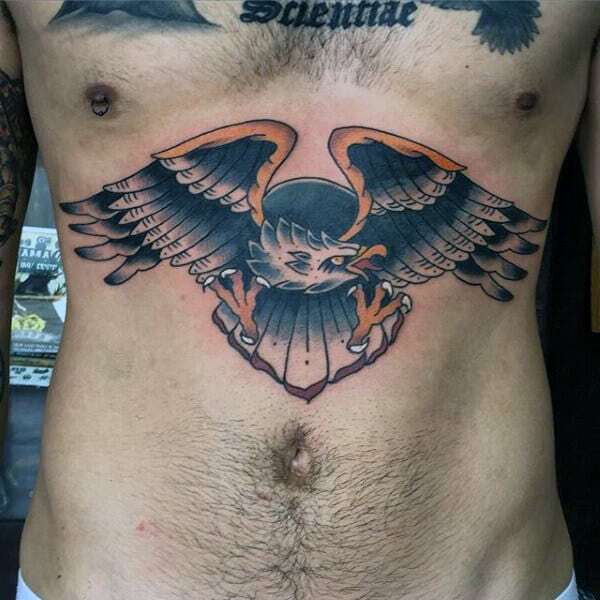 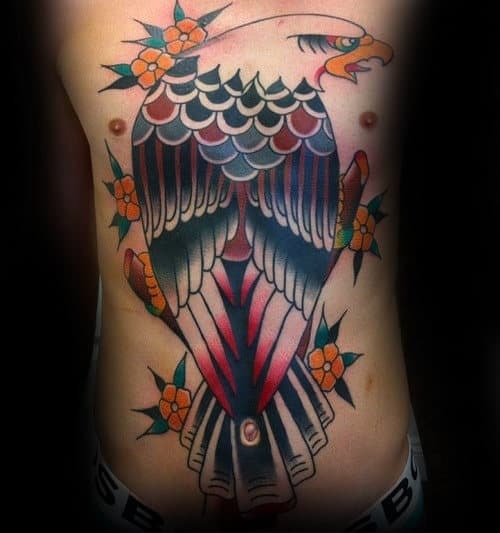 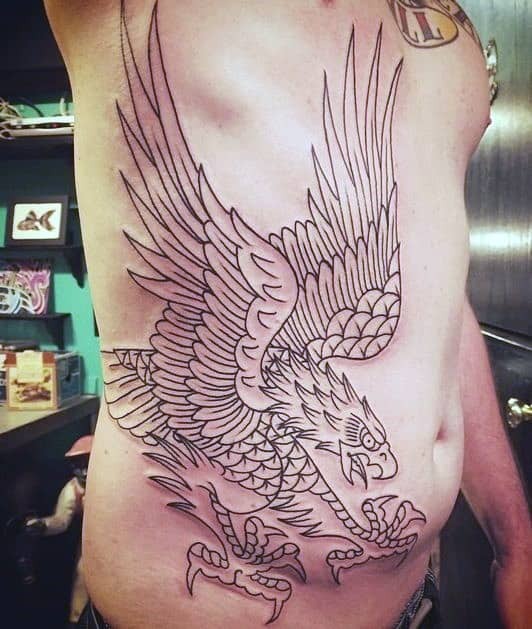 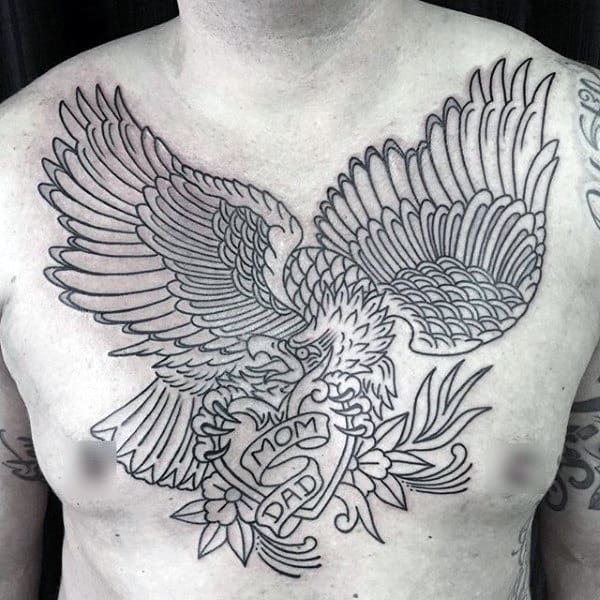 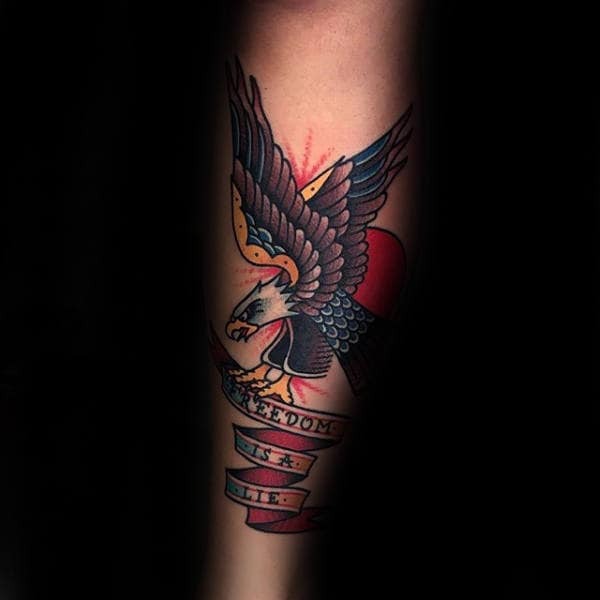 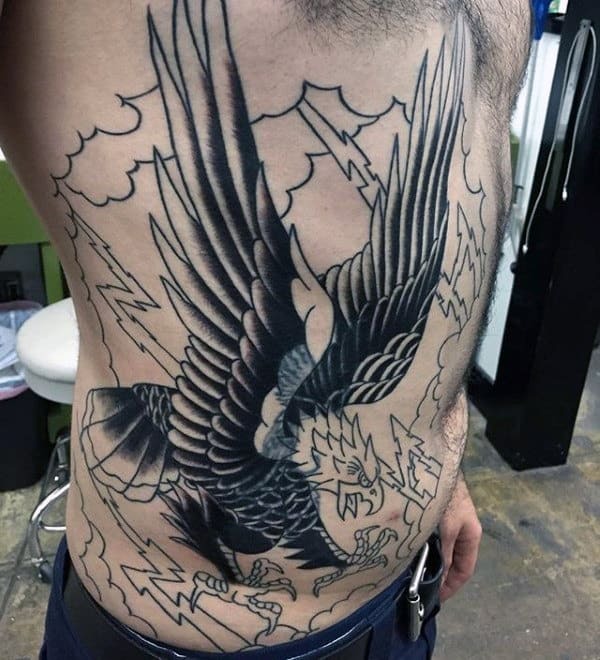 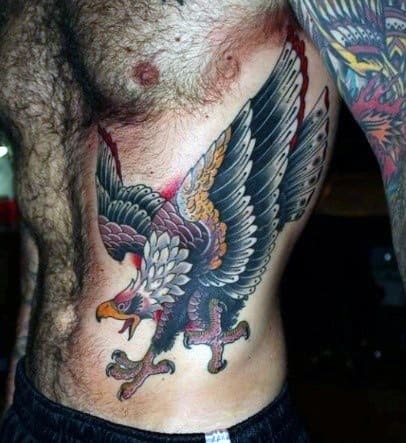 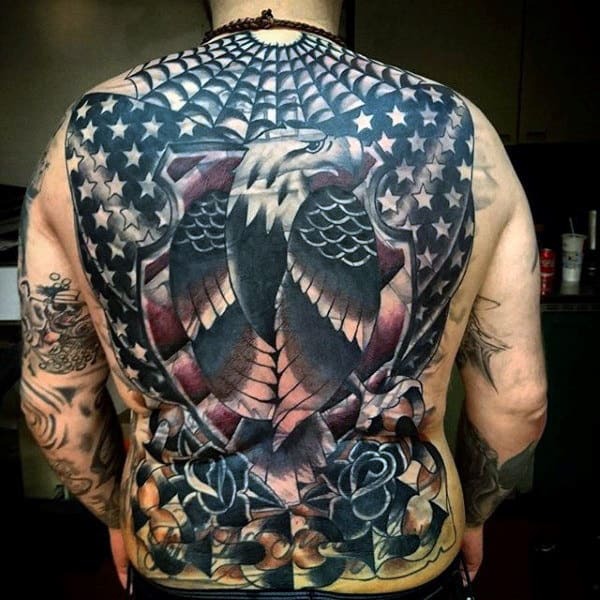 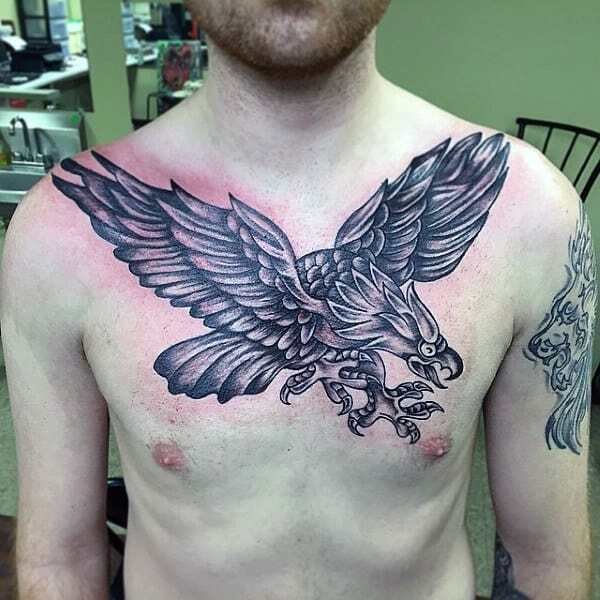 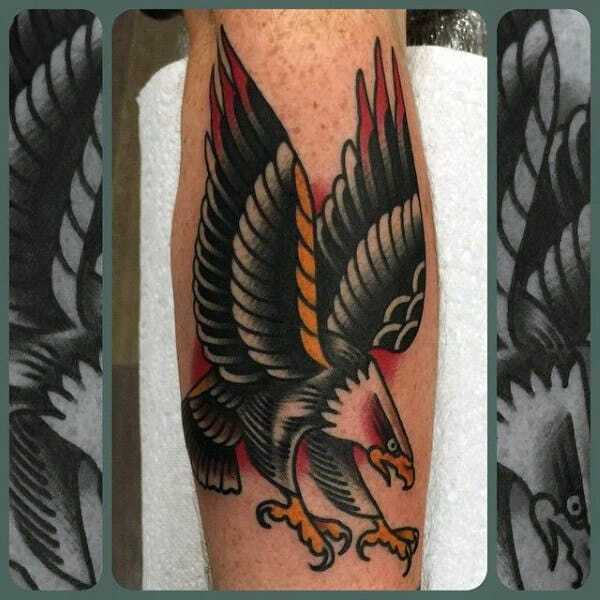 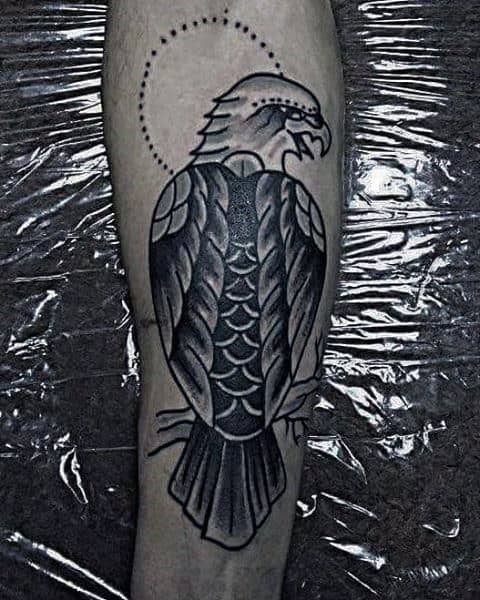 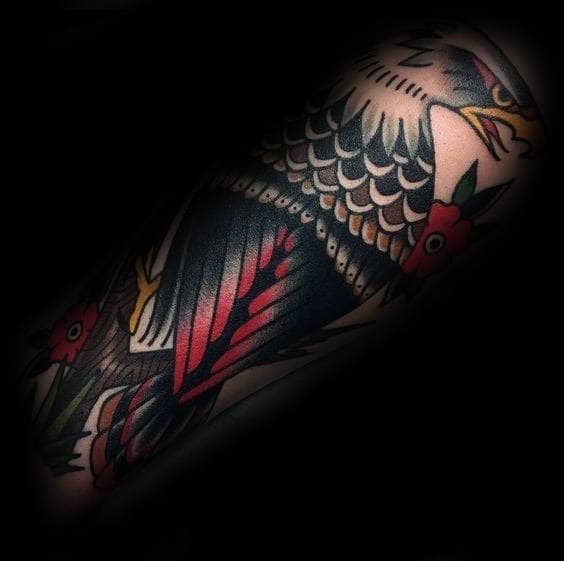 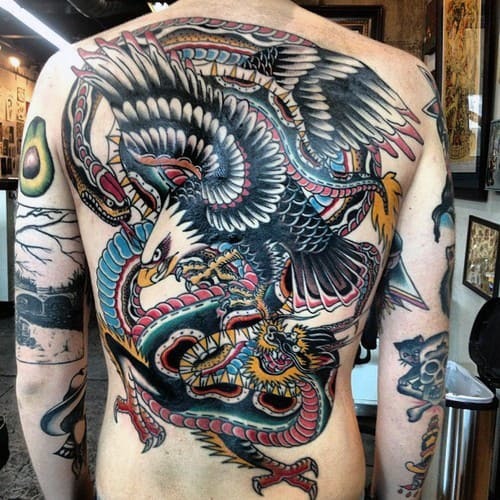 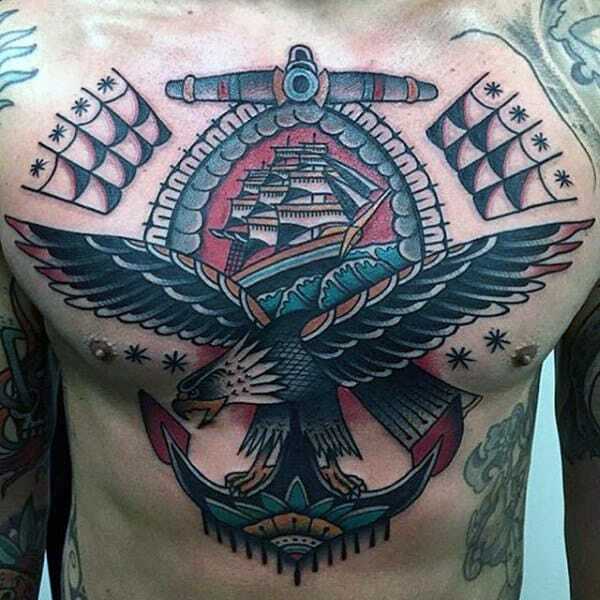 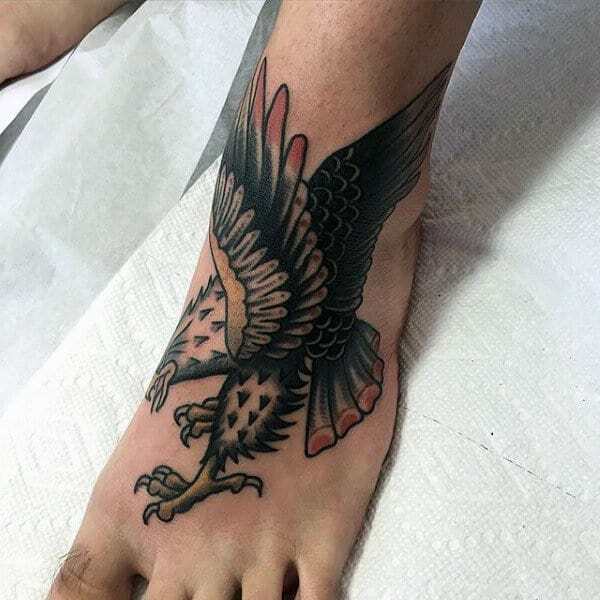 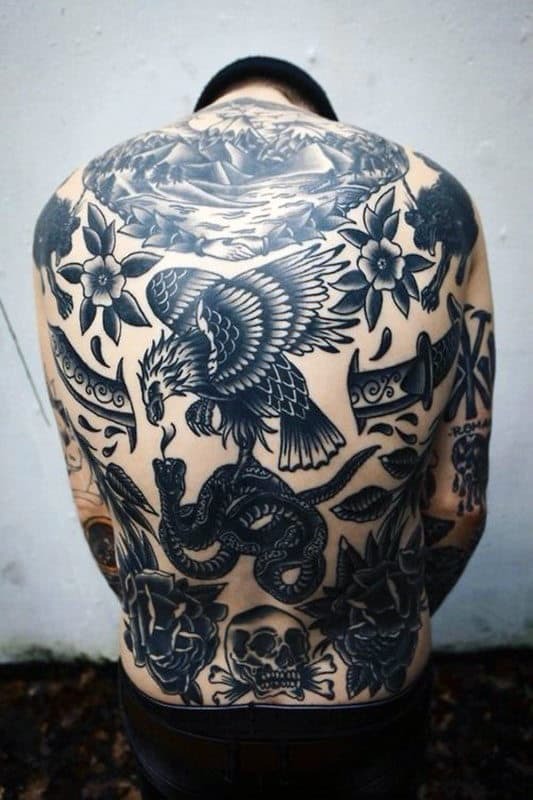 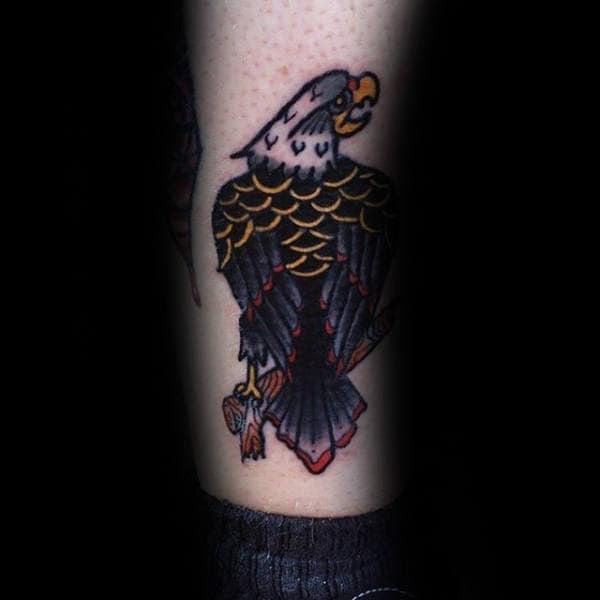 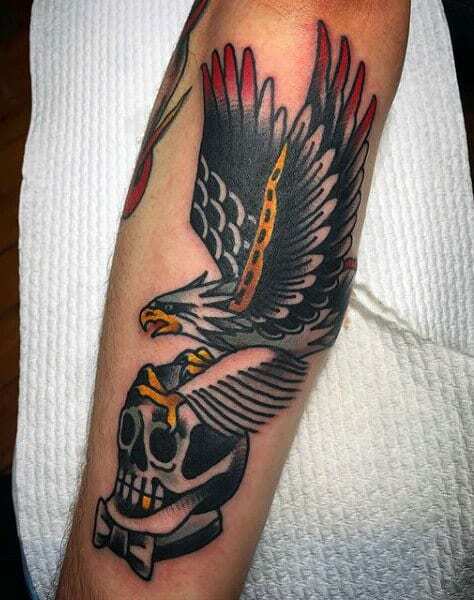 Birds are a common theme in traditional tattoos, and since the traditional style is heavily influenced by American iconography, eagles frequently show up in this type of tattoo. 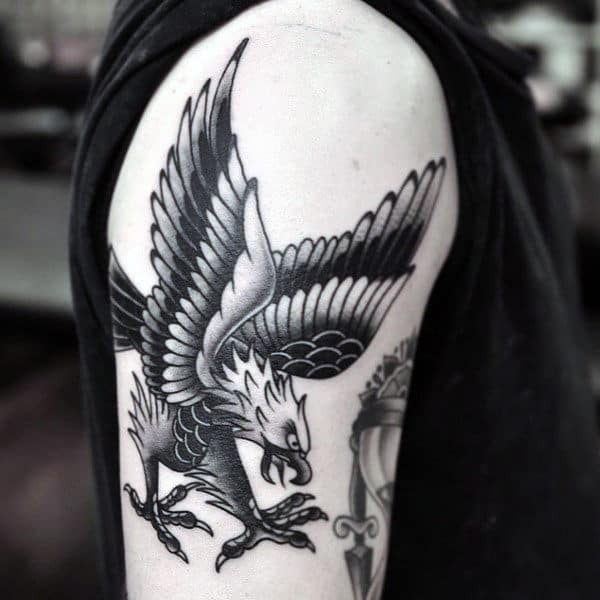 Most traditional tattoos of eagles show the bird with its wings flung out in flight and its talons stretching out to grasp something. 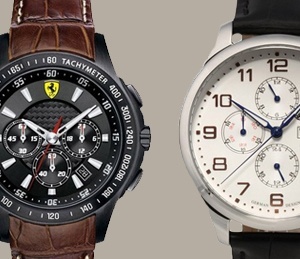 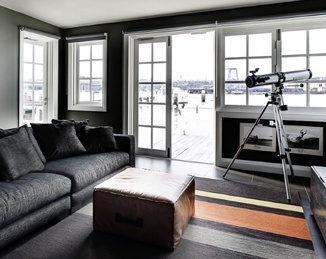 The most common colors are a mixture of black, white, gold, and red, but other shades may occasionally be used. 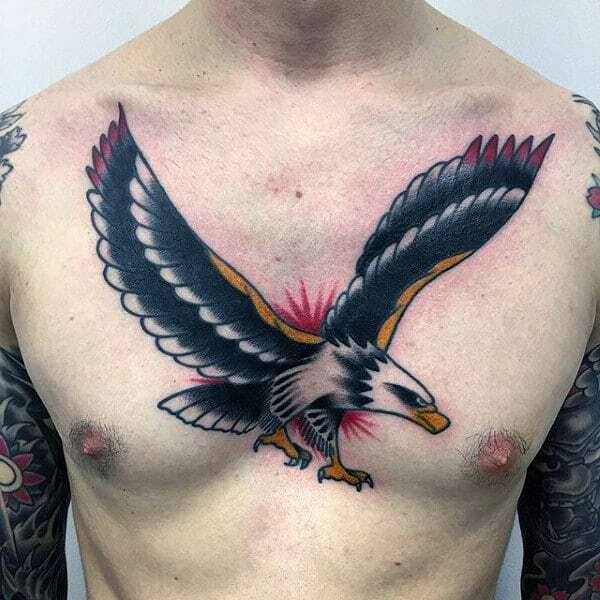 A large eagle in flight looks particularly nice when stretched across the chest or back, but smaller designs may work elsewhere. 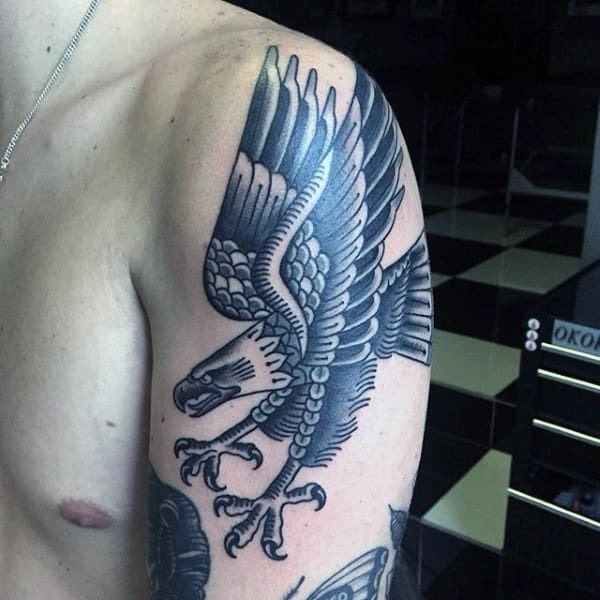 The eagle is a ferocious and elegant bird of prey that has been a symbol of nobility, strength, and bravery since ancient Roman times. 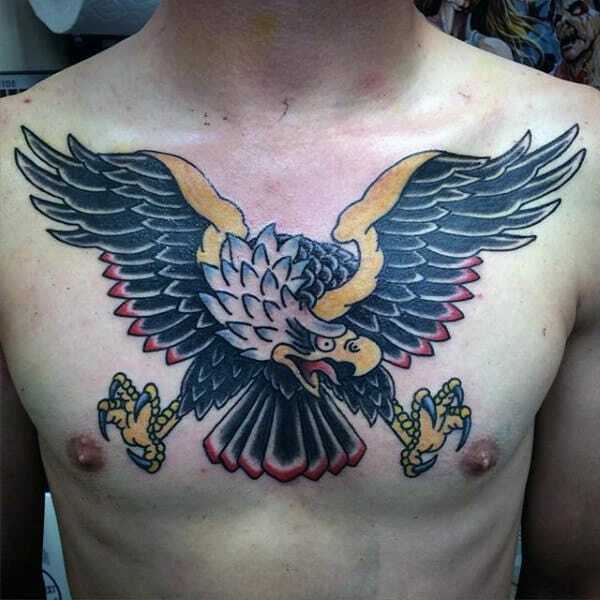 The eagle motif is often shown as a symbol of masculinity, power, dominance, focus, and strength. 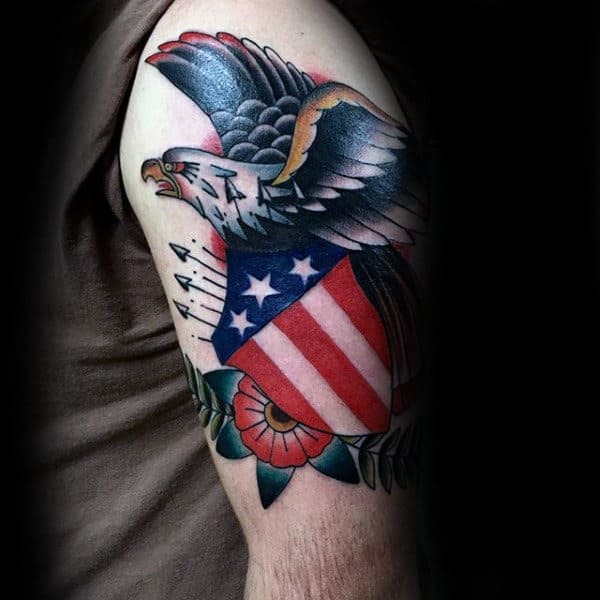 The inclusion of the eagle as the United States national bird means that it is frequently associated with patriotism and freedom in modern times. 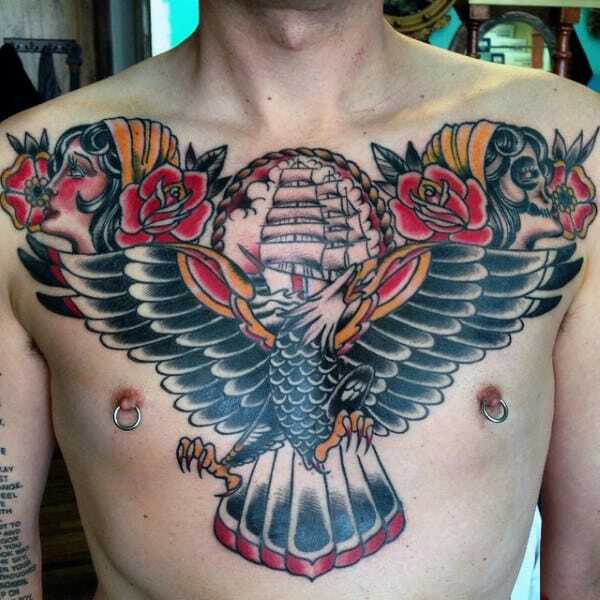 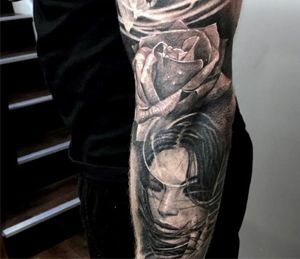 However, it can also symbolize healing, spirituality, and honor in other culture traditions. 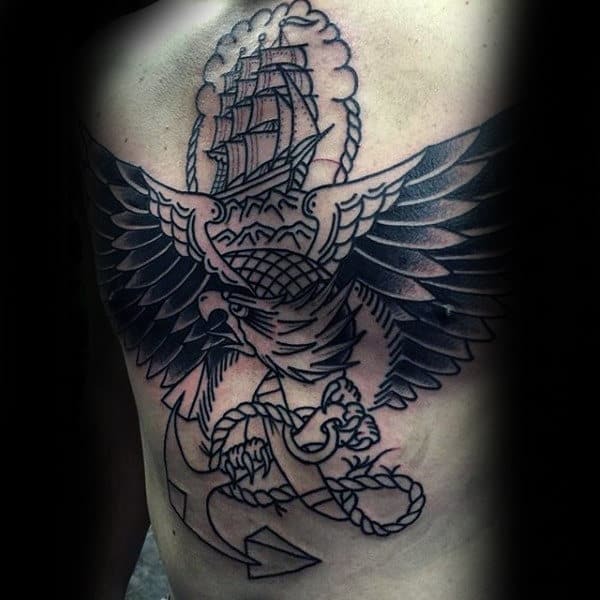 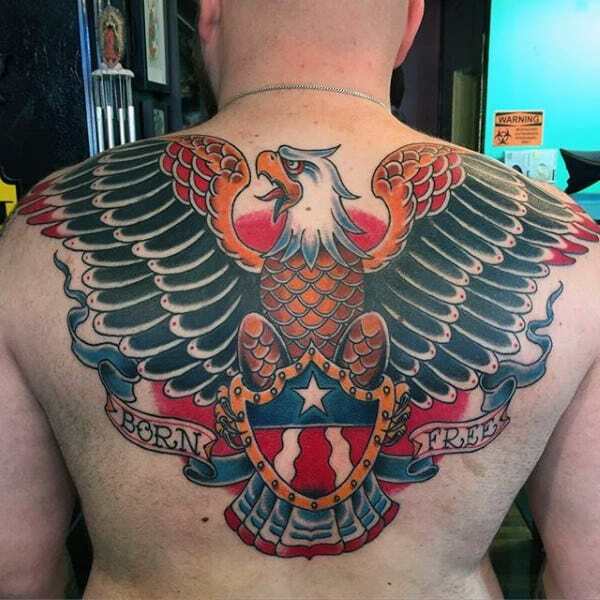 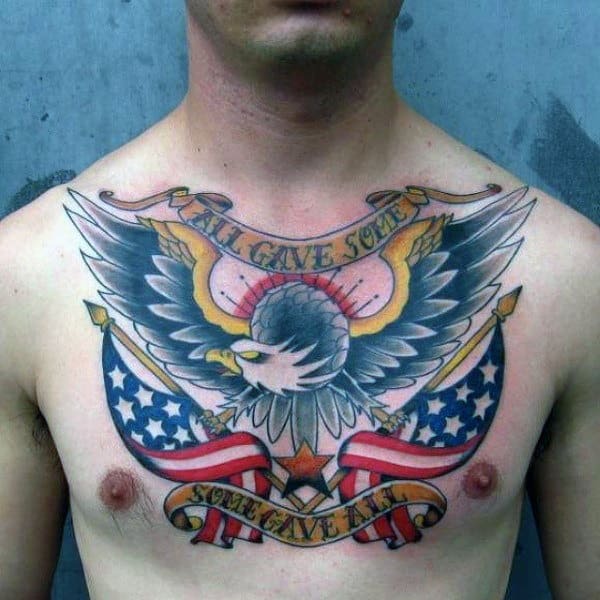 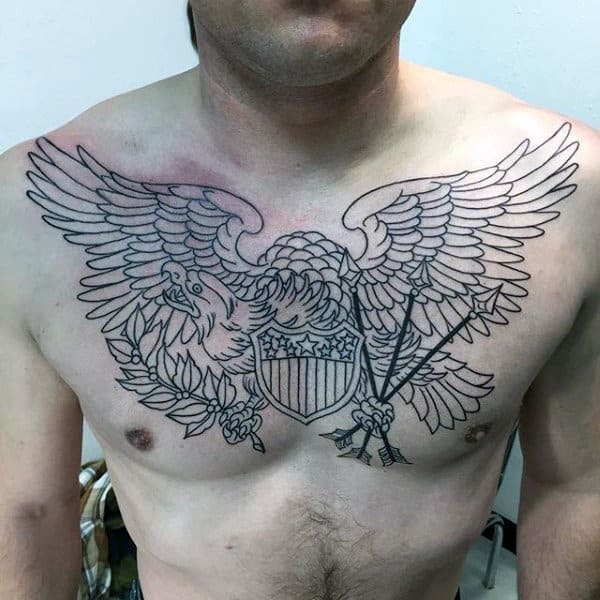 When paired with a snake, an eagle tattoo may represent the triumph of good over evil, and when it is combined with an anchor and a globe, it symbolizes the United States Marine Corp.